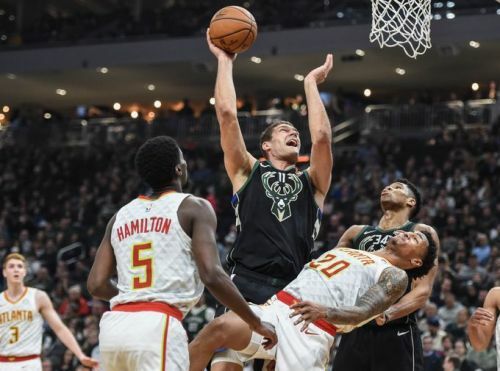 After blowing out the Detroit Pistons at home, the Milwaukee Bucks were ready to host the struggling Atlanta Hawks who were coming off a crushing loss against the Washington Wizards. The Bucks dominated the Hawks for the entire four quarters of action and never let the advantage slip out of their hands. Strong performances from several Bucks' players led them to a one-sided 144-112 victory. With this win, the Bucks have won five straight games and will now face Toronto Raptors in the second game of a back-to-back. 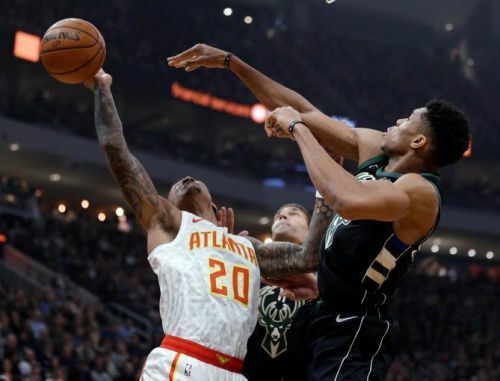 In this article, let us take a look at three of the talking points from the Milwaukee Bucks' win over the Atlanta Hawks. Giannis Antetokounmpo continues to destroy the opposition teams and has been the frontrunner for the MVP award since day one of the season. Against the struggling Hawks, Antetekounmpo only featured in 19 minutes of action but that was sufficient to cause plenty of damage to the opposition. In the seven minutes of action in the first quarter, he had eight points, six rebounds, and five assists. His all-round performance helped his team jump to a huge 43-19 lead at the end of the first quarter. With the Bucks already up big and the game all but over, Giannis did not play in the fourth quarter and finished the game with 16 points, 8 rebounds, and 10 assists. His presence on the defensive end resulted in a steal and 2 blocks.